The following is an excellent article on waste incinerators. Far from helping with our rubbish problem and the environmental impact it has, they do the exact opposite. You can find the article in it’s original form here. 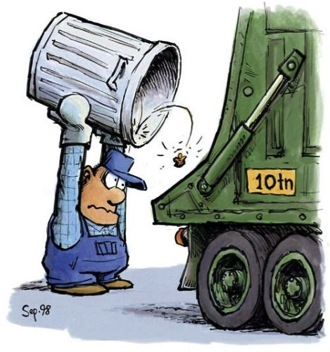 The reality of incineration overcapacity in many countries in Europe has provided eye-opening facts about up to what point incinerators prevent real waste reduction, reuse, recycling and resource efficiency in general. This is clear in Northern Europe, where incinerators are fed waste that is imported from all over Europe, but it’s been reportedly noticed all over the world: incinerators are bad news for recycling. At a time when the European Commission is becoming more and more vocal about the potential of zero waste strategies and the need to use resources wisely, incinerators are increasingly being put on the spot as an unfit and counterproductive element that prevents a sustainable resource-wise future. This is an awakening moment for cities and countries that have invested heavily in incineration infrastructure in the last decades and that have not been able to consider a way out of a burning-focused system in all this time due to the strict 20-30 year contracts to provide stable amounts of waste to the incinerators (“put or pay” contracts). This has been the inheritance of the 80s and 90s, when well-resourced European governments relied on large industrial incinerator infrastructures to deal with their waste and decrease reliance on landfills as a first and only priority. Today, many of these old incinerators are arriving at the end of their life, opening up a door for municipalities to consider the opportunities in an incineration-free system. This is, a system aiming at zero waste that would minimise reliance on waste disposal by means of reduction, reuse, recycling and better design of products. Enough is enough! The most remarkable examples of cities that are moving on from incineration and have committed to decommissioning the plants are in the North of Italy, that once more calls our attention for being at the frontline of zero waste development and innovation. One of the most remarkable examples is the city of Reggio Emilia where the old incinerator that had been burning waste for the last 40 years was finally shut down in 2012. As is often the case, the incinerator had raised the alarms for its harmful emissions, the lack of pollution monitoring and the administration failure to provide adequate information to the population in the area. Such problematic performance had even been brought up to the European Commission. 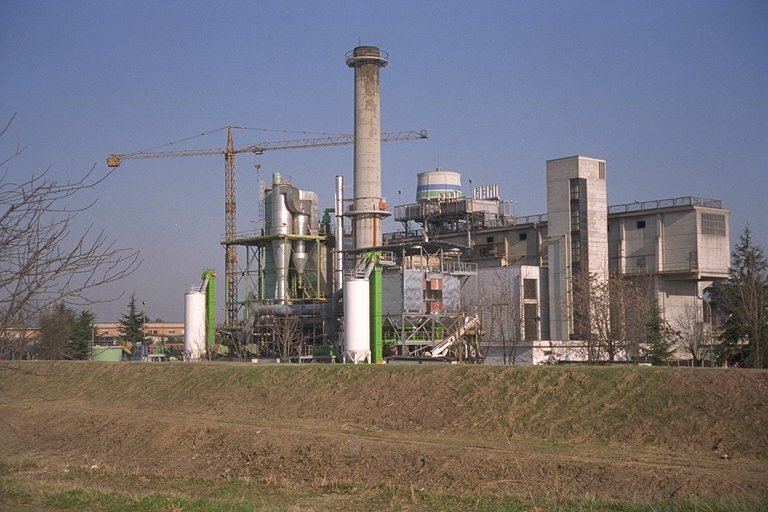 After decades of harmful emissions, the incinerator in Reggio Emilia (Italy) has been finally shut down in 2012. Right now Reggio Emilia has tabled its exit strategy from its old ties to the incinerator through maximising separate collection and reuse. In regards to the management of residual waste, the city has developed a plan was to build a MRBT (Materials Recovery Biological Treatment) site, aiming at recovering further materials from residual waste, instead of burning or producing Refuse-Derived Fuel (RDF) for co-incineration. This approach, in combination with progressive policies to increase separate collection and recycling rates, keeps the system adaptable to ever-increasing recycling rates, hence it’s been regarded as an option towards embracing a zero waste vision and system. Indeed, one of the most important advantages of the MRBT site in comparison to the incinerator is that the former is a flexible system, meaning that it does not require a stable amount of waste to function as incinerators do, and it may deal with increasing amounts of materials coming from separate collection, so in this sense it does not contradict policies encouraging waste prevention, reuse and recycling. Remarkably, the need to dismiss excess capacity for incineration and adopt options for the management of residual waste that are flexible and efficient, has been formally stated in a Resolution adopted by the Council of Region Lombardy, the most populated Region in Italy, with 10 million inhabitants. The Resolution, which was approved unanimously, states that there is a need to table a regional strategy for “decommissioning” of existing incinerators so that “(incinerator) sites shall be progressively shut down, consistently with the ongoing increase of separate collection, waste reduction, and the resulting minimisation of residual waste”. Moreover, “options for the management of residual waste that minimise landfilling by means of further recovery of materials (and not incineration) shall be promoted”. The local Zero Waste networks and NGOs are now engaged to make sure that the Resolution will be complied with in every specific case. One of the first cases where the Resolution has prompted plans to shut down the incinerator is Busto Arsizio, where the Council is considering the decommissioning of the plant. If the incinerator was to be kept running, it would need a technological revamping to renovate the installation, which in a context of general overcapacity, increased recycling rates and less waste to burn, would be a high financial risk for the Local Authorities. Moreover, an incinerator technology upgrading could be far more expensive than dismantling the plant and investing in designing a new incinerator-free waste management system, which could then be more suitable to support a zero waste policy. Similarly, the debate to dismantle existing incinerators or dismissing plans for building new ones has been tabled in the Region of Veneto, with a population of 6 million and the best separate collection rates – regional average already beyond 60%, with peaks around 90% in single Municipalities. The city of Verona, for instance, recently shifted to the incinerator-decommissioning trend. As a matter of fact, the Regional Council of Veneto has recently acknowledged that if good recycling policies are implemented and taken to their full potential (which may require far less time than building and running a new incinerator), there will not be enough waste to feed new incinerators. Following up this eye-opening vision, the City recently declared they might as well get rid of plans for the new incinerator and invest in a more resource-efficient path, maximizing recycling and putting emphasis on reduction and reuse. 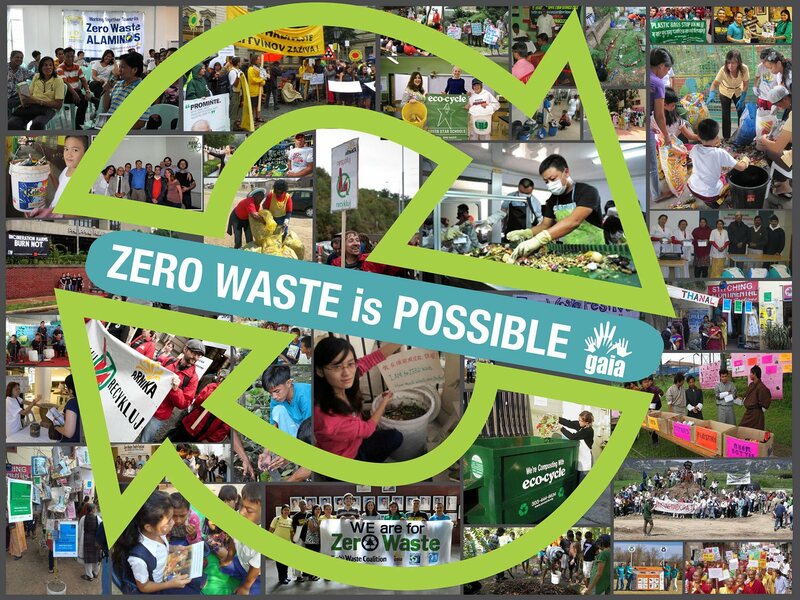 Italy is today at the frontline of zero waste innovation, and yet many other countries may be following suite. We’ve recently heard important messages from Denmark, the European country with highest incineration rates: its latest report about Danish waste policy acknowledged that it needed an exit strategy from its old-fashioned waste management model if it was really going to care about being more resource efficient, never mind increasing its recycling rates that are currently far lower than elsewhere in Central Europe (and kept low in order to feed their ever-hungry incinerators). Other ambitious incinerator projects are being abandoned due to the financial uncertainty of their investments, notably in Norfolk (United Kingdom), where a 500 million pounds contract has been cancelled, or in Guipuzcoa (Basque Country), where the long dispute over the incinerator plant was finally over with the dismissal of the proposal. In brief, we may be staring at the beginning of the end of an era; a time of less waste travelling around Europe to feed the always insatiable beasts and more resource-efficient strategies to boost local economy, through separate collection, reuse and recycling. Welcome to the age of decommissioning! Incinerators, it’s time to rest. Note: do use the hashtag #ageofdecommissioning to keep list of ongoing stories on incinerators decommissioning.